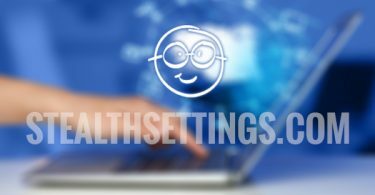 If you recently purchased a computer are you new to replace the old one, or to use them both in parallel, you will most likely want to transfer in that at least a part of data si applications already on the old computer. A simple solution to make Data transfer (Applications) between two computers without too much hassle is to use a software third-party, namely EaseUS ToDo Free PCTrans. ToDo Free PCTrans is a utility easy to use, with a simple interfaceThat allows users to transfer data between two computers in real time (transfer time depends on the amount of data available). Before using the application, users need to keep in mind two things: it must be installed on both the computer from which the transfer is made, and the one that transferred data, and both computers must be connected to the same network. How to use EaseUS ToDo PCTrans? 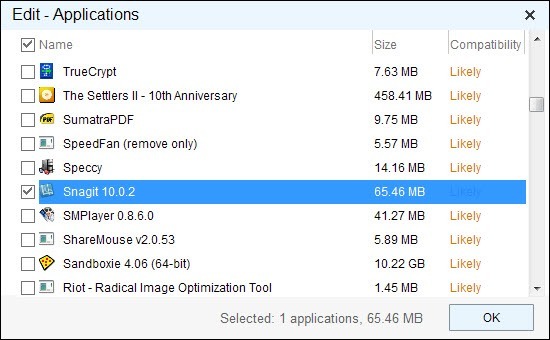 After installing the application on both computers, the second computer will be displayed as destination data transfer; Once selected the computer that receives Data transfer, The application starts scan computer that will make the transfer, and then displays number of applications si files available for transfer, and size their (space on disk). Users will be able to provide transfer both data and applications installed in the system; if it is desired only data transfer from one computer to another, users can uncheck applications; if you want only transfer applicationsIs uncheck User time. Also, users can select applications and files to be transferred clicking on buttons Edit shown on the right of the two options (the free version of softwareWill be limited Number of applications Transfer to two). After you select the applications and files you want to transfer to the new computer, click on the TransferThen wait for the process to be completed (during the data transfer does not recommend the use of two computers). 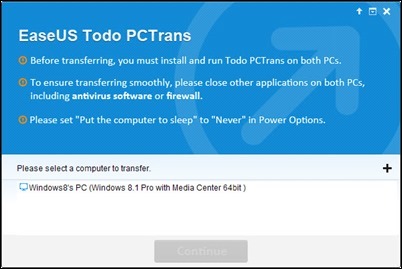 Download EaseUS ToDo Free PCTrans. Note: For applications, ToDo PCTrans transfer and data created by the Registry and User folder, which means that applications that require operating license will not be re-recorded. The free version of the software allows you to transfer from one computer to another has only two applications (data transfer is unlimited); if you want to transfer an unlimited number of applications, you can buy the Pro version on the official website of the software, available at a price of $ 39.95.